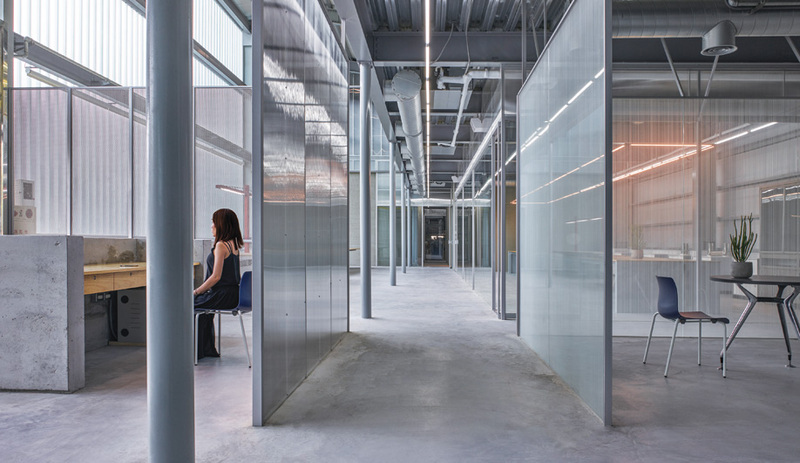 Glass panels make the gardens visible from every angle within the open-plan office and bring light to the core. Chairs by Muuto. 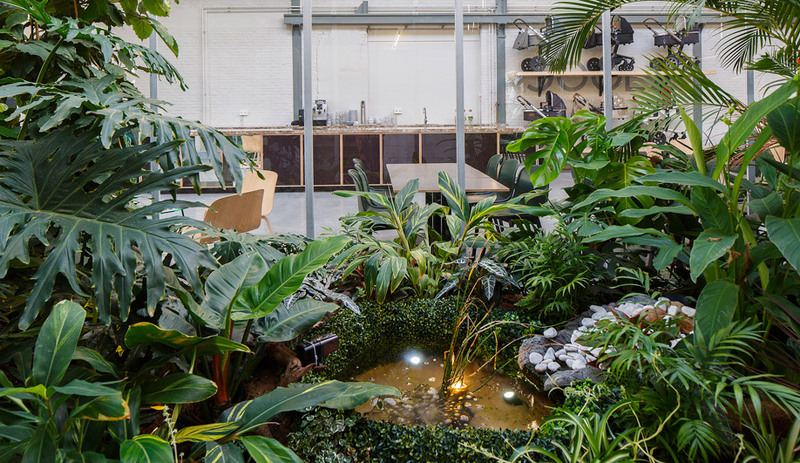 Can an office filled with tropical oases improve the health of employees? 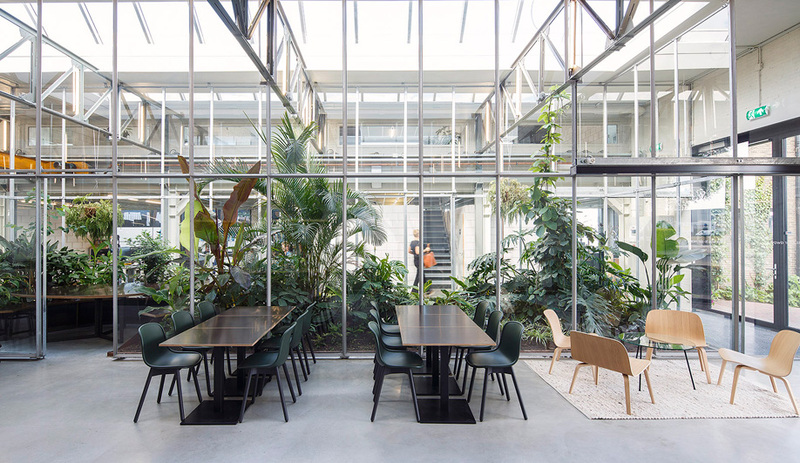 Space Encounters of Amsterdam is banking on it, with this foliage-filled office in Amsterdam. “The last thing an office should be is a living room,” says Joost Baks, co-founder of Space Encounters, a young Amsterdam firm that is quickly gaining a name for itself, in part by challenging the status quo of work environments. One of the firm’s signature projects is a line of office furniture designed for Lensvelt called Boring Collection, and it is intended to be just that: boring. Its defining feature is the uniform matte grey tone of the collection’s task chairs, shelving units, desks and trash cans. The idea, of course, is to let people, rather than furniture, shine within a space. When the line was launched in Milan in 2016, it was a massive hit. That goal appears to have been attained. 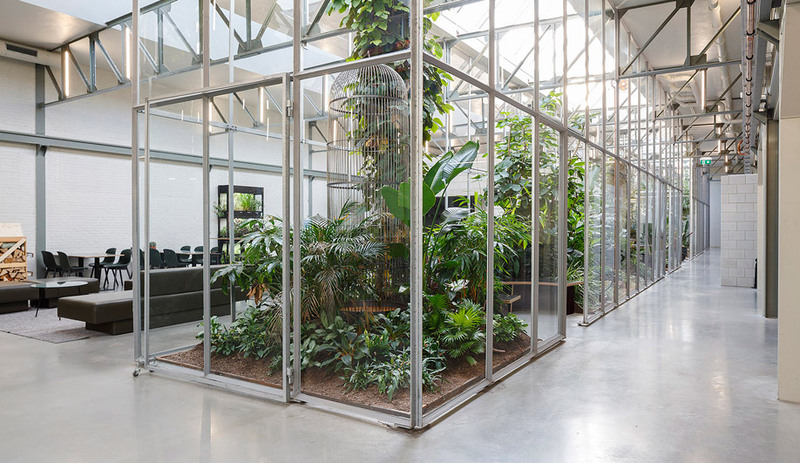 Between two wide corridors of open-plan workstations that seat up to 70 employees there is a living forest: a trio of greenhouses that double as concentrative workspaces and meeting rooms, offering alternative places for working on daily tasks or taking breaks. 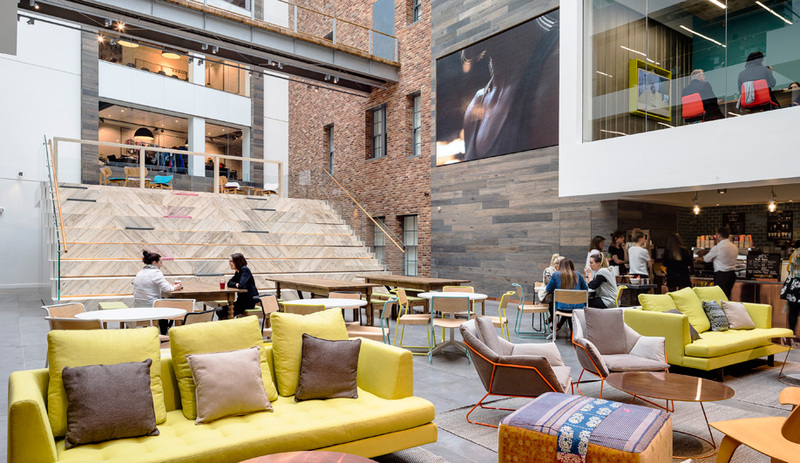 The goal was to create a space that helps boost creativity and productivity by bringing staff closer to nature. Designed in collaboration with local green architecture and design firm GrownDownTown, the courtyards house a plethora of exotic plants, from palms to full-grown papaya trees, as well as artificial ponds amid clusters of furniture provided by Lensvelt. 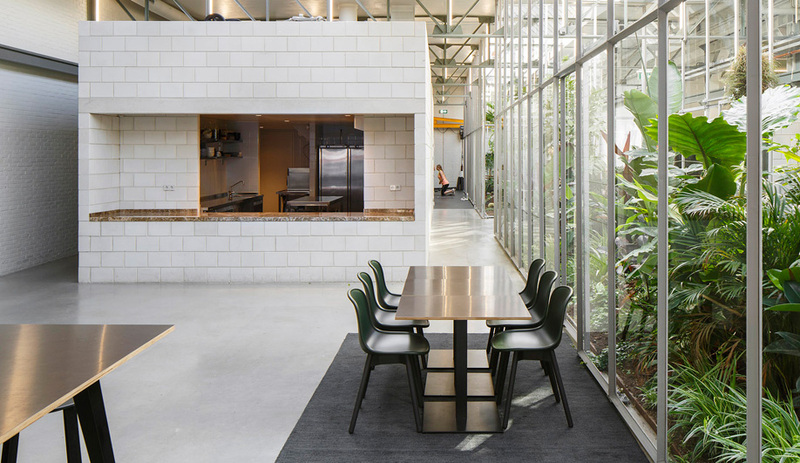 Supported by industrial steel beams (a nod to the exposed beams overhead), the glass-encased gardens are the centrepiece – a jolt of green energy inside an otherwise minimalist grey-and-white, hangar-like interior. 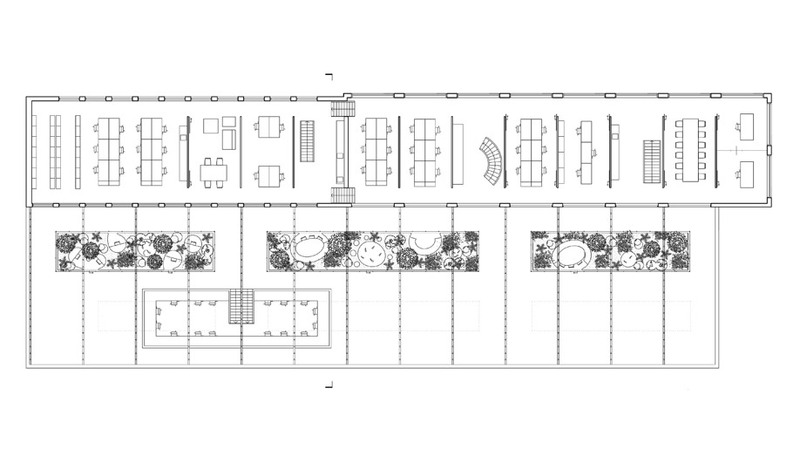 Openings at the top and bottom let fresh air permeate the building’s 1,600-square-metre sprawl. 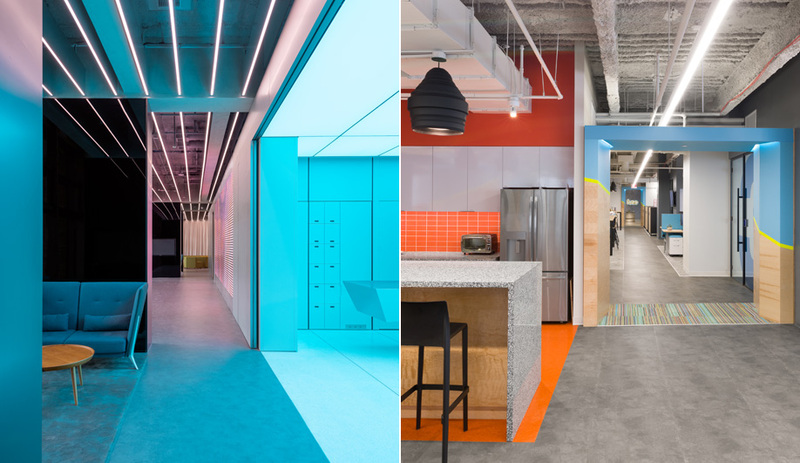 The purpose of these thriving jungles – besides lowering stress levels simply by giving employees the luxury of looking – is to boost productivity and improve overall well-being. The greenhouses, which measure 30 by 3.5 metres each, started out as an experiment. “No one wanted to work in them in the beginning,” says Baks. “Most of us are so accustomed to working at desks, even though the best thing for us is to work outside.” He has a valid point. Multiple studies have shown that even just sitting next to a window can increase productivity. One recent study found workers with regular access to a view gained, on average, as much as 46 minutes of sleep at night during the workweek, leading to more productive and creative work hours. Yet, even progressive brands like Joolz need to be reminded of nature’s benefits. The greenhouse concept eventually caught on, and employees now have to sign up in advance to reserve their sylvan work spot. Employees book time to work inside one of three extensive greenhouses. The first step was to break down barriers between inside and out. In lieu of walls, the firm installed 12 large windows, 10 of which purposely tilt inward at 4.6-degree angles. 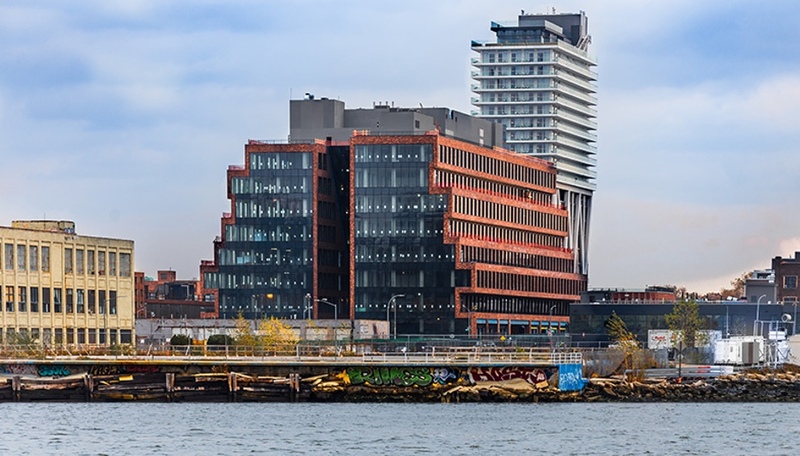 The slants cast a strategic shadow over the glazing, minimizing reflections that might block views to the inside. 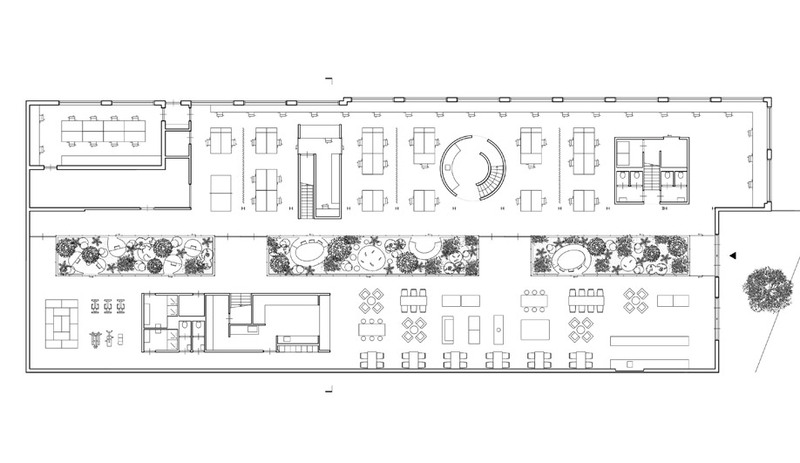 In addition to the greenhouse gardens, the office is equipped with a kitchen, a gym, a restaurant, and a café that opens up to the street. The white cube is a self-contained kitchen that features a stove by Piet Hein Eek.